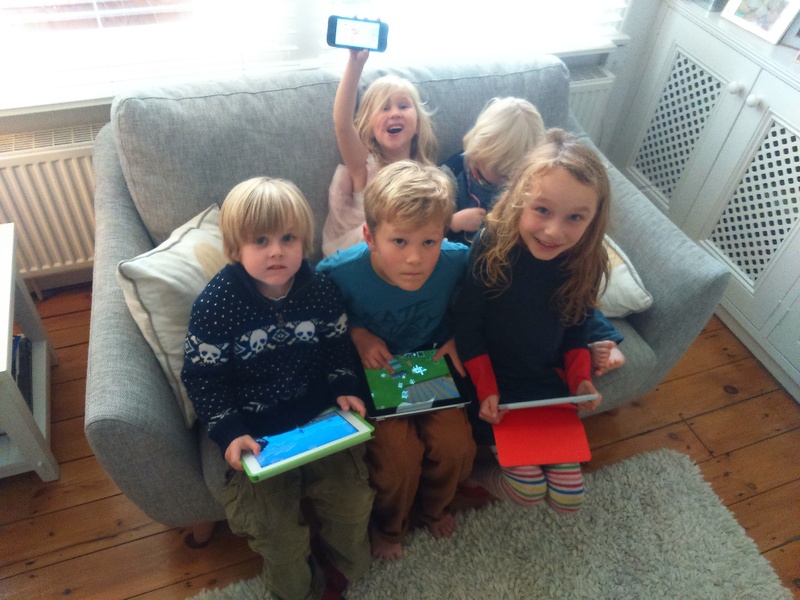 Tag Archives: how do I stop my child wanting to play on the iPad all the time? How to keep an 8 year old boy occupied – ideas needed! You’ve gotta love school. Teachers are amazing aren’t they? They get our children to sit down quietly and learn things and craft things and play in the playground. By the end of this first half-term though my two school-goers were completely knackered, they needed a rest at home with mummy and I was really looking forward to it. 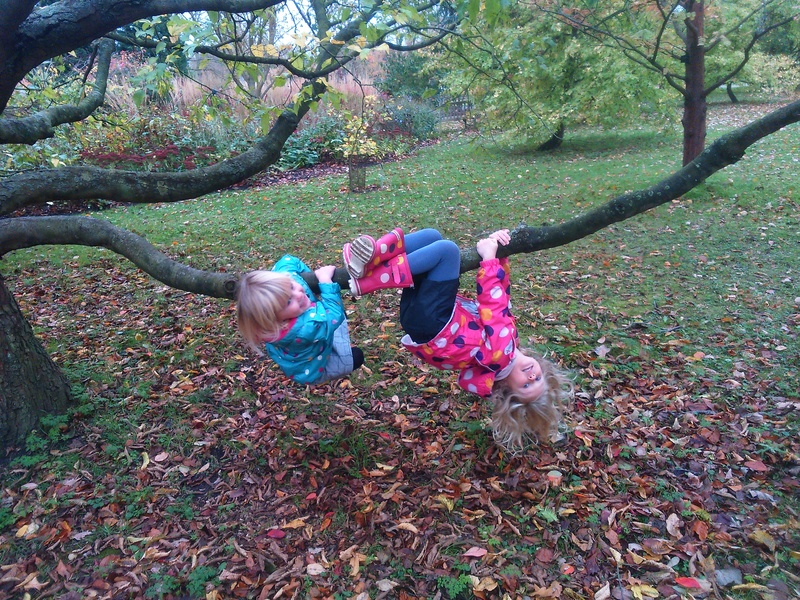 In fairness, the first three days of half term were lovely, the rest were… challenging. 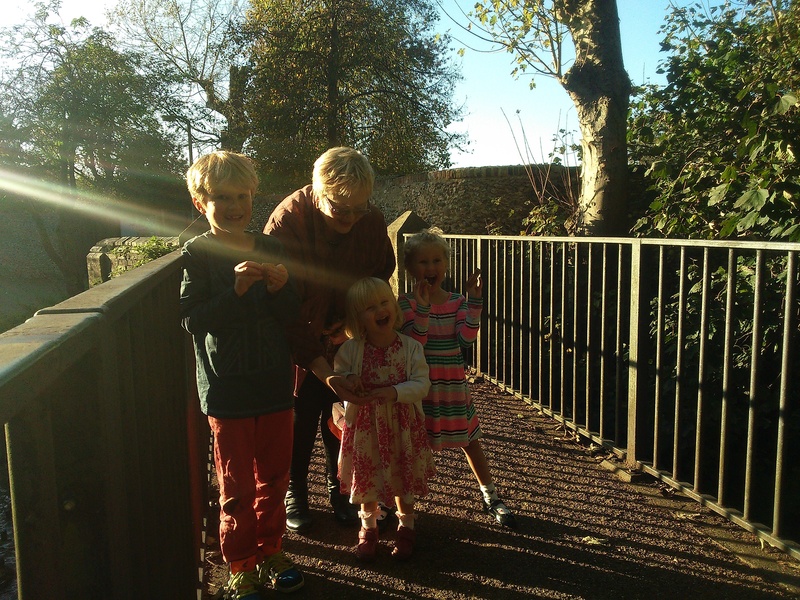 At the beginning of the week we went to see Nana and fed the ducks. We went to the Botanical gardens for food and a play. 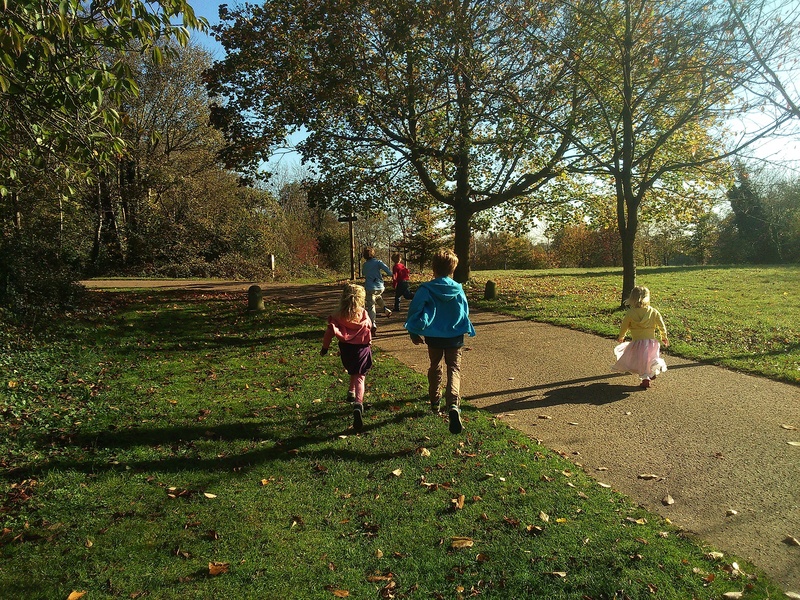 …and we wandered around Wandlebury with some friends. The weather was glorious and we all just made the most of being outside. It was soooo freakin dreamy! Then, it got chilly and a bit rainy and quite a lot less fun. Strangely, being stuck inside with an energetic eight year old boy Is not very relaxing. 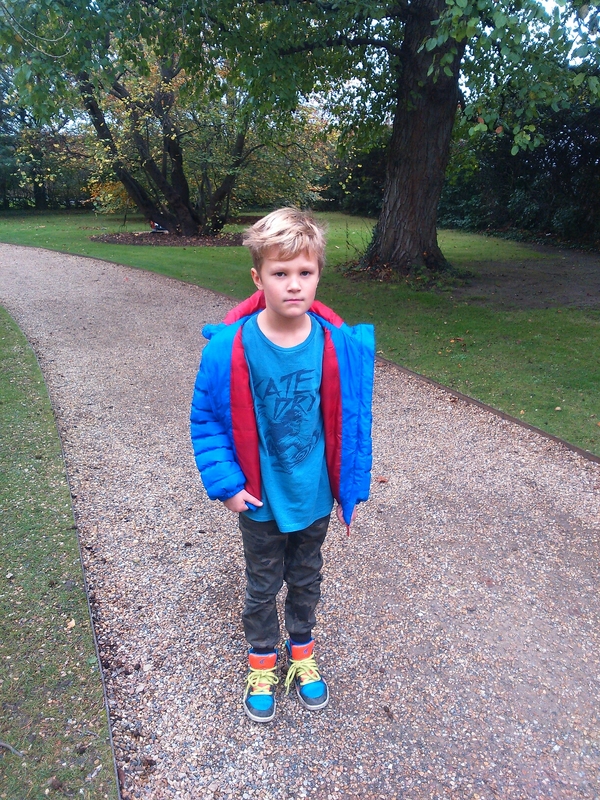 Something has changed since the summer holidays, Sam has suddenly become a big boy. Playing with his sisters is not as much fun as it used to be, playing on his own with his toy figures just doesn’t hold his interest as it used to do. All he wants to do is do something sporty or spend hours on the iPad. I have to admit it was a relief to get him back to school – at least they know how to keep him occupied! Although all this growing up stuff is normal and good, it’s a bit of a nightmare from a, mothering during the winter months, point of view. Now he’s back at school, I absolutely don’t want every moment he spends at home glued to a small screen. It’s not just the fact that he’s pretty much absent from us when he’s playing these computer games, it’s the subsequent anger he sometimes flashes when it’s time to finish his game and do something in the real world. Somehow TV seems quite wholesome in comparison to computer game time and it’s a never-ending battle to try to keep him occupied with other stuff. He can’t do a club every night, he’d be exhausted and now it’s getting dark, football after school isn’t really an option, so how do I keep him away from his screen obsession??? Really, how??? Even during Isabelle’s birthday party he (and most of the other kids) retreated into the living room for a mass Minecraft session. For them it was brilliant, the idea of all wandering around the same virtual Minecraft world was about as fabulous as it gets. What about wandering around the real life garden together? Not a chance! After the treasure hunt and a brief bounce on the trampoline by the smallest ones, the garden became redundant, even though it was gloriously sunny and mild! For us parents it felt as though we’d simply put off the inevitable. It was easier to just let them do that than listen to their relentless, “when can we play Minecraft?” mantra. When Sam’s not playing on the iPad, he ends up complaining that he’s bored, teasing his sisters and making them scream. When his sisters are screaming, I flip. Something happens in my brain that turns me into a wild-eyed, roaring bear. I don’t like it and neither do my poor, cowering children. What do we gather from this? We gather that he needs to be occupied. As of Tuesday, he’s only allowed to play on the iPad when I’m putting his sisters to bed. So far so good. This is mainly due to the fact that he did swimming one day and went to a friend’s house today. What the heck do I suggest as an alternative for the rest of his life at home? In reality I don’t have the time to entertain him, I’ve got to sort out dinner, do baths and put two out of three kids to bed. I’m pretty much hoping that without access to the iPad he’ll come up with something else to do himself, I just a have sneaking feeling that even when he does find something else to do he’ll still pester me to let him play on it. So, someone, anyone, tell me what to do with this lovely bored boy. What did boys do in the olden days? I want him to have downtime after school that doesn’t include technology. Please, parents of boys, any ideas and advice will be gratefully received and promptly passed on! My beloved, yet bored son.